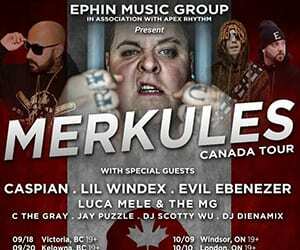 Merkules and his Canadian Tour hit Ottawa and he brought along a full line up with him. The west coast was invading and it was going to be nothing sort of a crazy night in the national capital. 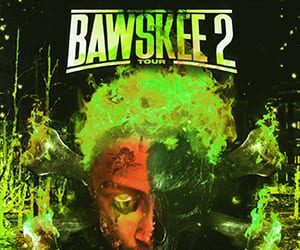 Classified is back and this time with a lineup that would make any old school hip-hop fans day. 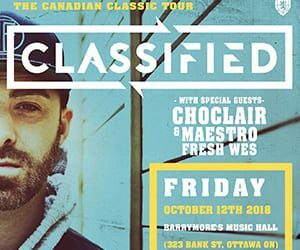 The Diamond Mine Agency brought Classified and “The Canadian Classic Tour” to Barrymore’s and what a night it was. Maestro Fresh Wes and Choclair filled out the roster and brought some of Canada’s greats together under one roof and wow!